Joan Boytim is the leading American expert in teaching young voices. 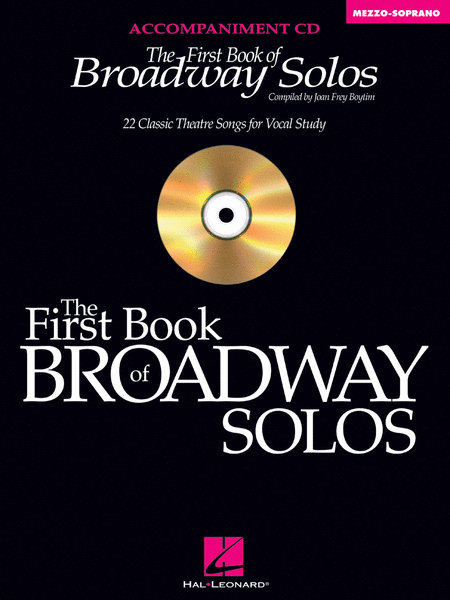 In 1997 Hal Leonard released this four-volume series of Joan's excellent selections of Broadway material for singers. Lyrical music was chosen to be used in traditional classical voice teaching. Now each volume is available as a CD of professionally recorded accompaniments. Mezzo-Soprano Edition includes 22 songs: As Long As He Needs Me - Getting to Know You - It Might As Well Be Spring - Maria - My Favorite Things - My Funny Valentine - On My Own - Where or When - and more.